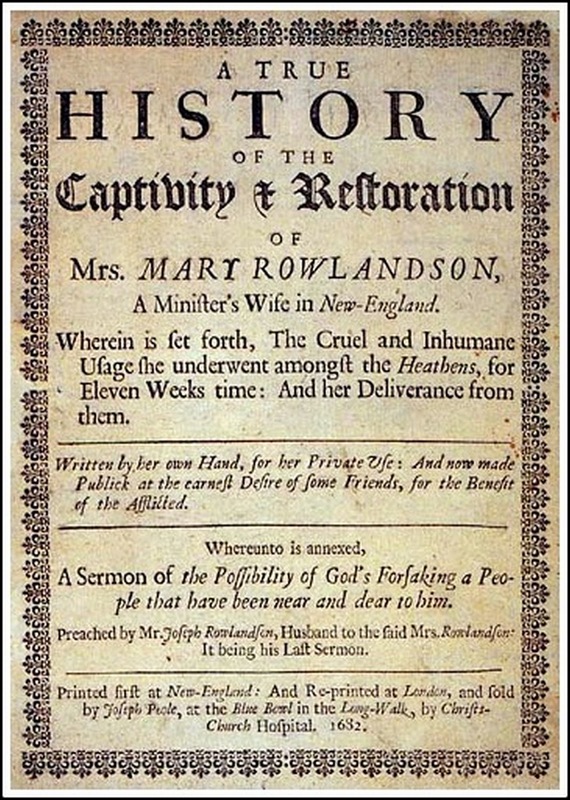 Alejandro's Libros: A True History of the Captivity and Restoration of Mrs. Mary Rowlandson. Introduction by Atidem Aroha. 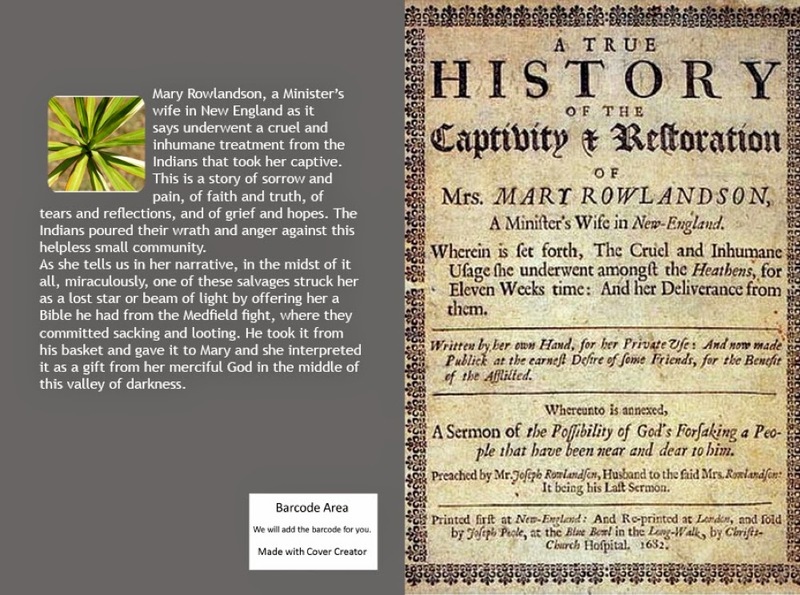 A True History of the Captivity and Restoration of Mrs. Mary Rowlandson. Introduction by Atidem Aroha. 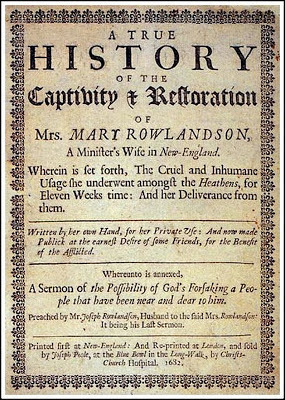 Mary Rowlandson, a Minister’s wife in New England as it says underwent a cruel and inhumane treatment from the Indians that took her captive. This is a story of sorrow and pain, of faith and truth, of tears and reflections, and of grief and hopes. The Indians poured their wrath and anger against this helpless small community. As she tells us in her narrative, in the midst of it all, miraculously, one of these salvages struck her as a lost star or beam of light by offering her a Bible he had from the Medfield fight, where they committed sacking and looting. He took it from his basket and gave it to Mary and she interpreted it as a gift from her merciful God in the middle of this valley of darkness. The digital version (eBook) can be found in: Amazon, Barnes & Noble, Apple_iTunes (iBookstore), and Google Play.